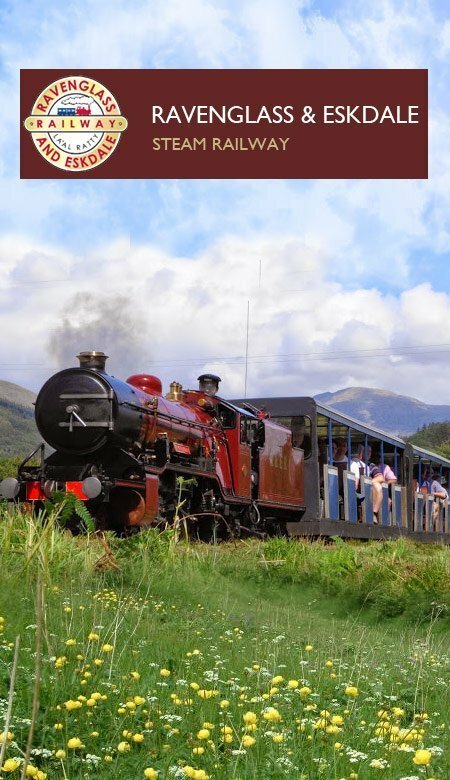 The Ravenglass & Eskdale Railway is the English Lake District’s longest and most spectacular steam railway! The line runs for seven miles (11.3 kilometres) from the Lake District National Park’s only coastal village of Ravenglass in the Western Lake District, through hidden Miterdale, to the grandeur of the Eskdale valley. The terminus at Dalegarth for Boot – home to a new visitor centre – nestles at the foot of England’s highest mountains. At Lakeside, on the southern end of Englands largest lake, Windermere, you can discover in over 30 displays the fascinating and often secret world of wildlife and freshwater creatures dwelling in and alongside these magnificent waters. 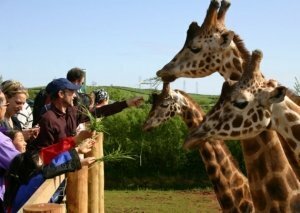 See over over 100 different species on a unique safari on foot amongst many animalswandering free. The Lakeside and Haverthwaite Railway is located in the scenic Leven Valley at the southern end of Windermere. 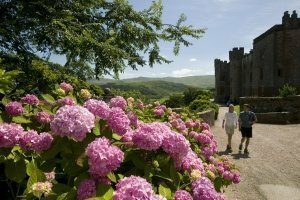 The railway runs for 3 1/2 miles from Haverthwaite Station, along the banks of the River Leven, to Lakeside Station where passengers can alight and board one of the ‘steamer’ services cruising to Bowness and Ambleside or visit the Lakes Aquarium. Wray Castle is a Mock-Gothic castle sitting on the shores of Lake Windermere with turrets, towers and informal grounds. If you’ve children to entertain you’ll be pleased to know the rooms may be empty of grand possessions but full of kids having fun in our dressing up and castle-building spaces, perfect for a wet day in the Lakes! There’s plenty to do outdoors too, like rope swing, den-building and trails, in our family-friendly gardens and grounds. 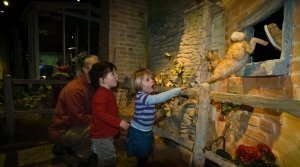 The World of Beatrix Potter™ Attraction in Bowness-on-Windermere is a vibrant visitor centre offering a unique experience for all the family. Explore a magical world where all 23 enchanting tales are brought to life, recreating the beautiful Lake District countryside complete with sights, sounds and smells. There’s chance to meet your favourite characters including Peter Rabbit, Mrs Tiggy-winkle and Jemima Puddle-Duck. Home of the Penningtons for 800 years. Tour this glorious castle with an informative and free interactive wand. The Great Hall, octagonal library and elegant dining room must not be missed. Elegant rooms, historic furnishings, superb works of art, yet still a lived-in home.